Bird toys can provide your friend with hours of fun, entertainment, and even intellectual stimulation. 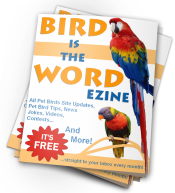 Providing toys for your pet bird is absolutely essential. He needs toys to prevent boredom and keep his mind active. 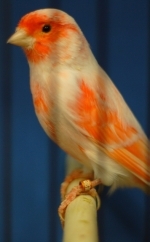 Without toys, your bird can easily develop behavior problems like screaming, feather plucking, and biting. Some birds are said to not really “need” toys (like canaries and finches), but many are said to love and play with toys. It’s also a great way to enrich their environment with variety and entertainment. Toys come in all shapes, sizes, materials, and colors. However, all toys are not made for every bird. It’s important to provide the right toys for your pet bird’s particular species. Some toys for larger birds can be harmful to smaller birds and some toys for smaller birds can be harmful to larger birds. It’s important to know what to look for. Pet birds need a variety of different bird toys to ensure that their physical and mental needs are being met. Pick a few toys from each category to make sure your pet bird is happy, healthy, and well occupied. X-Small Exercise ToysExercise toys such as swings and ladders are perfect for encouraging movement and physical exercise.